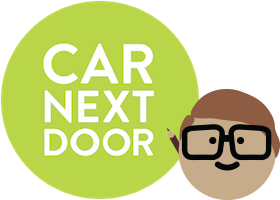 Car Next Door has partnered with Wipehero to offer a discounted car cleaning service to owners in Sydney and Melbourne. The service includes an exterior wash, window cleaning, tyre shine, and a vacuum inside, plus a shine to finish off. Wipehero currently only operates in certain parts of Sydney and Melbourne, however we hope to roll it out to owners in Brisbane and Gold Coast soon. Even if you are not in the service area, please complete the form linked below to show your interest as WipeHero may consider expanding their services if there is enough demand. Once a month, the cleaners will make a 1-hour booking on your car. They will use the Car Next Door app to access the lockbox and give it a clean. When they’re done they will simply put the keys back in the lockbox and be on their way. You don’t need to do anything. Each scheduled clean costs $39, which is a saving of between $10 and $20 on retail prices, depending on the size of your car. A one-off clean will cost $45. You will be billed directly by Wipehero for each clean. To book a one-off or regular clean, complete this form: Wipehero Mobile Cleaning. Your details will be sent to Wipehero who will do the cleaning and invoice you directly.